Hurricane Florence scuttled our regular recording plans, but never fear! Stocking Stuffers are here! 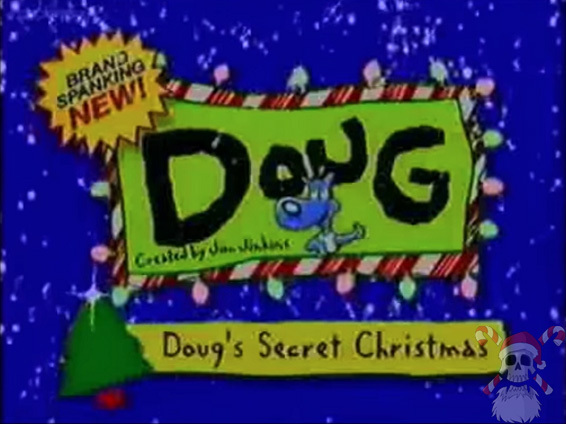 On this episode, Joe & Bradford discuss “Doug’s Secret Christmas”, the only episode of Disney’s Doug to air in prime time! The guys are forced to look on as Doug has The Talk with his dad, discover how Doug is somehow more progressive than Ed, Edd & Eddy, and Joe comes to the realization that he’s been celebrating Christmas of 2015 for the past four years. Click here to download this episode! Click below to listen now! Come back next week for another Stocking Stuffer! This entry was posted in podcast and tagged 1996, animation, christmas, Disney, podcast, stocking stuffer, television. Bookmark the permalink.